In a Memorial Day speech at Arlington National Cemetery, Virginia, the chairman of the Joint Chiefs of Staff, Marine Corps General Joseph Dunford praised the 40 million Americans who’ve served in the military since the revolutionary war. He also noted that 5,000 soldiers have been tragically killed in military action beyond US borders since America’s war on terror was launched after 9/11. Thousands of families grieve daily for their fallen loved ones and the war machine that sent them to an early grave shows no signs of slowing. These fallen military men and women, we are told, died fighting for our freedom. The terrorists hate our freedom, George W. Bush famously said after 9/11. And, if this was true, they certainly have little reason to hate us now, as Freedom in America has plummeted since that fateful September day. For the last 15 years, America has fallen across the board in indices rating the world’s countries by levels of freedom. Americans are under constant surveillance, our every move under a microscope by government goons, “protecting us” from “terrorists.” We are under the constant threat of violence from the state for possessing a plant, or having a tail light out, or simply walking down the street. Americans are constantly paranoid of those blue and red lights popping up in the rearview mirror that most always end in extortion and could very well end with a visit to the hospital, being locked in a cage, or worse. In the Land of the Free, police killed more people in just one month of this year than the United Kingdom has in the entire 20th century. In the Land of the Free, police kill at more than 70 times the rate of other first world nations. In the Land of the Free, we are told to “fear the terrorists” but US police kill 58 times more people than all terrorist activity against US civilians since 9-11! 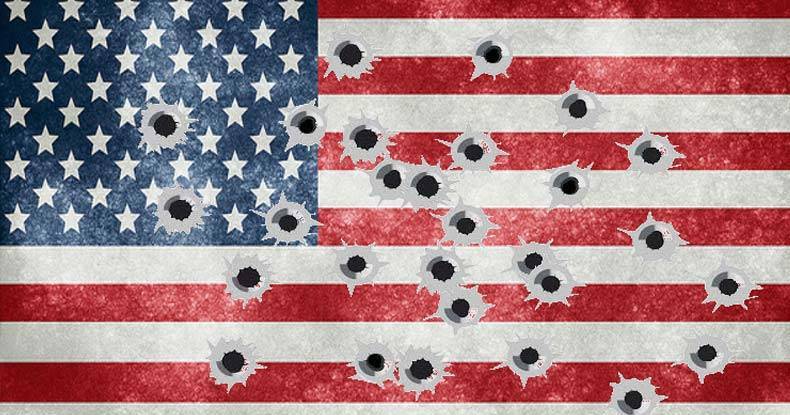 What’s more, while the death of 5,000 soldiers is most assuredly tragic, that number pales in comparison to the number of US citizens killed by police — many of whom are also soldiers. Prior to May of 2013, there was no independent recording authority on how many citizens were killed by cops. However, the FBI loosely estimated that number to be around 500 citizens annually. Simple math would show us that since 9/11, at the FBI’s rate, police killed more than 7,000 people. However, that number is even higher now that places like Killed By Police, Cop Crisis, and the Counted exist and detail every public killing by American police. Using the most recent numbers from 2013 to the present, and remaining conservative by using the FBI’s ‘loosely’ contrived number of 500 per year before then, the death toll reaches a whopping 8,296. In the Land of the Free, citizens are killed by public servants at nearly twice the rate of soldiers deployed to war. But these people are criminals, right? They deserve to be killed, right? Wrong. While many of the citizens who’ve been killed by police in the last 15 years may have had it coming, all of them deserved due process. Not too mention, many of those killed simply came across the wrong cop while engaging in non-violent victimless ‘crimes’ like ingesting an illegal plant. What’s more, some of these victims are innocent children like 6-year-old Jeremy Mardis of Louisiana. There is no doubt that criminals exist and present a danger to others. However, when the number of people killed by their own government vastly surpasses the number of people who died fighting for that government in foreign wars — something needs to be said. We will not pretend that cops in the US kill 70 times more people than other first world countries for one simple reason. However, part of the multifaceted situation which has led to the trigger-happiness of American cops is their training. This excessive violence has gotten so bad that American police chiefs are being sent to Scottland to learn steps to change this deadly paradigm. A former hostage negotiator with the Boston police department, Chuck Wexler brought a team of cops across the pond in a last stitch effort to curb killer cops and his story was documented by Sky News. As the two sets of police officers met, Mr Wexler described how if confronted by a suspect holding a rock an American officer would pull out his gun. “You’re going to kill someone for throwing a rock. That’s what you’re gonna do,” said Mr Wexler. The senior American officers, from forces such as the NYPD and LAPD, watched demonstrations at Police Scotland training centres. Sky News cameras joined them as they went out on patrol in Glasgow, and watched as unarmed police dealt with a variety of potentially violent situations. What the report showed is that cops in Scotland know how to avoid confrontation. Instead of immediately resorting to deadly violence, the Scottish cop will step back, use protective shields, or move behind a car for protection. What the report also found is that American police have a knack for verbally escalating situations too. Sergeant Jim Young trains hundreds of Scottish police recruits every year. “The American style of policing, it’s very authoritative,” he said. “There’s a difference of going in, straight up at this level, whereby you’re ordering people, you’re shouting at them. You can’t go anywhere after that. Basically, what this experience is showing is that American police are aggressive both verbally and physically — and it’s deadly. The good news is that there are cops out there that know this and they are taking action, like the chiefs going to Scotland, to correct it. Below is this eye-opening video of American cops learning to be less violent. This training cannot happen soon enough as America is already on track to kill another 1,000 citizens in 2016.